Home > Cards - Debit Cards > If do not have a job, 5 ways Anyone can get a credit card..! If do not have a job, 5 ways Anyone can get a credit card..! Here are 5 ways you can get a credit card even if you do not have a job. In the contemporary world, credit card has become quite an important thing to have. Large number of transactions would rather become extremely difficult unless you have a credit card. For instance, if you are planning to make the online booking, without a credit card you may not be able to do so through some of the websites. Most of the financial institutions or / banks require the employment proof to approve your credit card request. Therefore, it becomes a little hassle for many self-employed or unemployed people to obtain a credit card. Fortunately, it is not completely impossible. Here are Five ways you can get a credit card even if you do not have a job. Income is more important than the job. If you do not have a job, but substantial inflow of money to your account, you are as much eligible to apply for a credit card. You will need to submit the proof of income to the bank with your credit card request. The income could be from royalty, child support, alimony, or your business profits. Some banks may ask you for the income tax return records for the credit card eligibility. Those studying in a college are also eligible to apply for a credit card. However, they need to have trust fund, investment, or some financial assets to qualify. There are some banks that would be willing to give you a credit card if you already have an account with them with sufficient funds. Some banks offer online application of the credit card. However, you may still need to visit the bank at least once for identity verification. It is best to review the student credit card offers available with different banks and then choose the one that sounds more apt for you. Community property refers to all the financial assets and liabilities that the spouses own together. It could be the total monthly income, any debts, or the purchased properties. If one of the spouses is working and the other is not, the latter can still apply for the credit card on account of the community property. However, remember that not all the states consider community property for credit card requests. It would be best to confirm before applying. If the state or region of your residence allows it, it would be pretty easy for you to apply for the card. A co-signer is indeed a guarantor who has a good credit. When the co-signer approves you for the credit card, he or she becomes equally responsible for payments as you. In the event of payment default, the credit of the co-signer also gets affected. This is the reason why a co-signer is mostly the person who trusts you completely and is ready to take the full responsibility of the payments. Usually, only guardians or parents are considered as co-signers by the banks. However, there are some banks that might accept a non-related co-signer as well. If you do not have a job or are self-employed, you can still get a secured credit card. For this, you will need to have the funds available. The fund works as the collateral against the credit line. You will need to pre-pay the amount that equals the credit line. This amount acts as the security deposit for your credit card. In the event of failure to make the payment for the balance, the amount will be deducted from the security deposit. This is a wonderful option for those who have exhausted all other avenues for obtaining a credit card. Mr. Rajiv was instrumental in setting up India's first credit bureau, Credit Information Bureau (India) Limited (CIBIL). 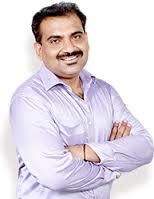 He has also worked with Citibank, Canara Bank, HDFC Bank, IDBI Bank and Experian in various capacities.